There has been very good reporting on this issue and we wanted to present a variety of sources that are in stark contrast to the US media coverage and the position of the Obama administration. Israel’s exclusive rights to the term “self-defence” and institutionalised habit of inverting logic have resulted in the construction of a narrative according to which the fatal bulldozing of American peace activists in Gaza and the murder in international waters of Gaza-bound humanitarian workers armed with construction tools, marbles and a metal pail are excused as defensive maneuvers. As always, Electronic Intifada has some of the best reporting about what is taking place in the occupied territories. 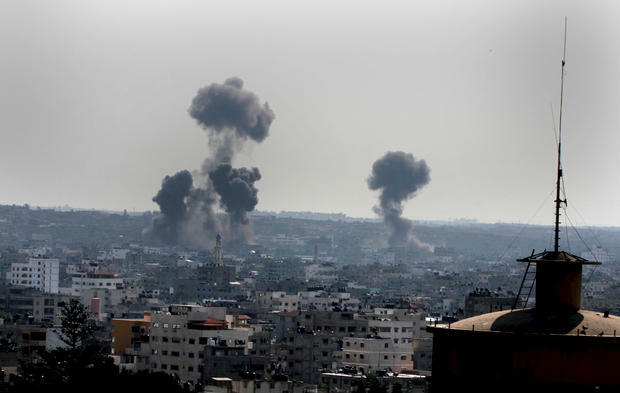 Ali Abunimah reported yesterday that an Israeli official has called for the army to bomb Gaza until the population flees en masse into Egypt’s Sinai peninsula, and for water and electricity supplies to be cut, a clear case of incitement to war crimes. 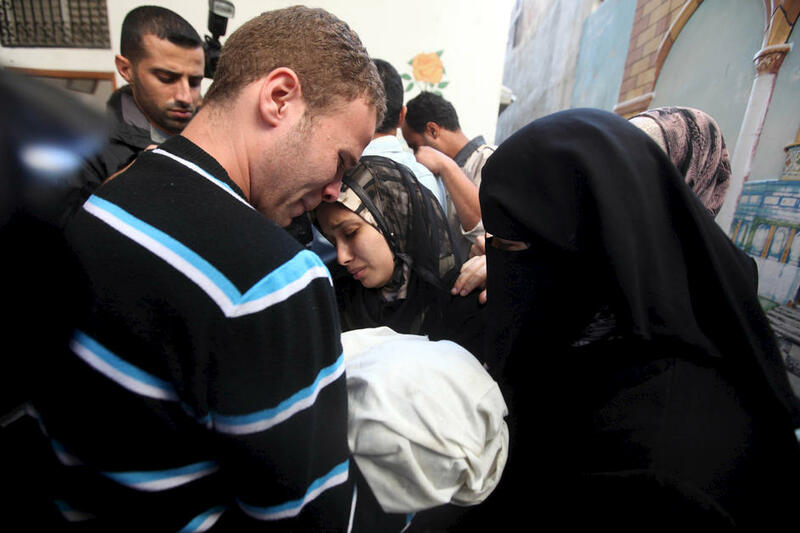 Electronic Intifada (EI) has also posted a series of photos to demonstrate the real human casualties in these most recent Israeli attacks, such as this one of a family morning the death of an eleven-month old. Glen Greenwald also critiques the Obama administration support for Israel and make the argument that because of the Obama kill list, the US administration has to support the Israeli attacks. Fairness & Accuracy in Reporting continues to document the extremely pro-Israeli coverage in the US media, with their most recent article, Justifying Certain Acts of Violence. The Palestinian BDS National Committee, which has been calling for a Boycott, Divestment and Sanctions Campaign against Israel for several years now, believes this current Israeli attacks on Gaza needs to motivate all of us to be part of their campaign. The 1.6 million Palestinians in Gaza have endured the worst of Israeli impunity and violence including being placed under a medieval siege, being subjected to deliberately created food insecurity and frequent acts of Israeli state terrorism. It is the duty of all supporters of international law and universal human rights to hold Israel accountable through effective measures, such as those called for in the global, Palestinian-led Boycott, Divestment and Sanctions (BDS) movement. Lastly, here is a video interview with author Vijay Prashad, discussing the US, the United Nations and the Israeli assault on Gaza.